Despite many residents speaking against it, Boulder City will be getting overhead power lines along the northeastern end of Nevada Way in order to create a backup power system for that part of town. Boulder City The 69kV transmission loop will connect substation 6 to substation 1 by way of Nevada Way on U.S. Highway 93 and the desert. Celia Shortt Goodyear/Boulder City Review Mayor Rod Woobury listens to a resident comment about the 69kV transmission loop project that would install overhead power line that could obstruct the view of Lake Mead during the City Council meeting Tuesday, Aug. 28. At its meeting Tuesday, Aug. 28, City Council chose not to exercise an option for a partial underground power line for its the 69kV transmission loop project, which provides a backup for distribution substations 1, 4 and 6. 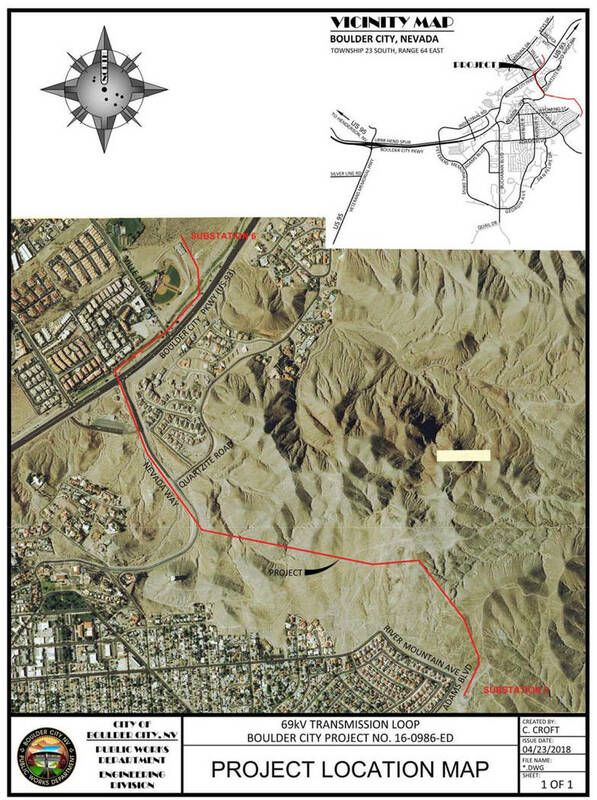 The line is 2.07 miles long and will run from substation 6 near Nevada Way on U.S. Highway 93, past Quartzite Road, through the desert to substation 1. Council approved the approximately $4 million contract to install the overhead power line with PAR Electrical Contractors Inc. at its Aug. 14 meeting. The underground line would have been on Nevada Way to preserve the view of Lake Mead for homes in that area and cost about $1.4 million more to install. Additionally, maintenance costs for underground line would cost 10 times as much as an overhead one, according to Rory Dwyer, the city’s electric utility administrator. Councilman Rich Shuman referred to the new power line as a public safety project because there is no backup for that part of the city. If part of the line were to fail, power would be out on that side of town for awhile, he said. “It’s a tough thing to have to vote for something that will block people’s views,” Shuman added. Mayor Rod Woodbury said the lakeside part of town has about 1,700 homes and almost 5,000 residents, all of whom would be affected. Not only would they lose power but their sewer systems could be affected because the city pumps waste over the hill. Resident Chris Brown weighed in on the safety aspect of the project. “You’re asking for a project to protect us from something that’s never happened in the history of Boulder City,” he said. Brown also said the overhead line could have harmful effects on nearby homes because of electromagnetic frequencies. Additionally, he said the project seemed like more than a backup power source because it included fiber-optic and distribution lines. Resident Walt Clark said he thought the view should be preserved. “I think it’s well worth it to put them below ground and maintain the view,” he said. Resident Candace Bartsch, who moved to Boulder City in December 2017 with her husband, said those who had a desert view from their homes were not taken into account into like the ones who had a lake view. “We purchased our home above market value because of the unobstructed view of the desert,” she said. “If you’re going to bury the lines for one neighborhood, you need to bury them for everybody,” said resident Michael Lowery. Sherry Forbes said she and her family moved to Boulder City because of the view of Lake Mead. “We’ve worked so hard to get this view of the lake and now you want to take it away,” she said. Resident Glenn Feyen said power lines should be celebrated because they bring power from Hoover Dam. “They’re part of our history,” he said. Resident Neil Jones said the line should be buried because the city has the funds. Councilman Kiernan McManus said the city has about $15 million available in its reserves but using that money for the underground option would not be a good idea. “This is real money that will keep projects from being done that people depend on,” he said. He said the underground option covers about a third of the whole transmission line project and would take about 10 percent of the available reserves. If the whole line was put underground, it would take 30 percent of the reserves. Additionally, he said if the electric on the other side of town went out and this money had been spent from the reserves there would be a question about how the city could pay for repairs. He said the city would also need to be prepared for the approximately $3 million it could cost to maintain the underground lines over the next 50 years. Several council members expressed a desire to withhold a decision about the partial underground option until they had a chance to research some of the residents’ ideas. Councilman Warren Harhay said he wanted time to look at the possibility of a special improvement district being created to pay for the underground line. After the mayor said it would be unlikely for that to happen, Harhay said he was OK with moving forward. City Manager Al Noyola said any delays could put the approved contract with PAR in jeopardy. 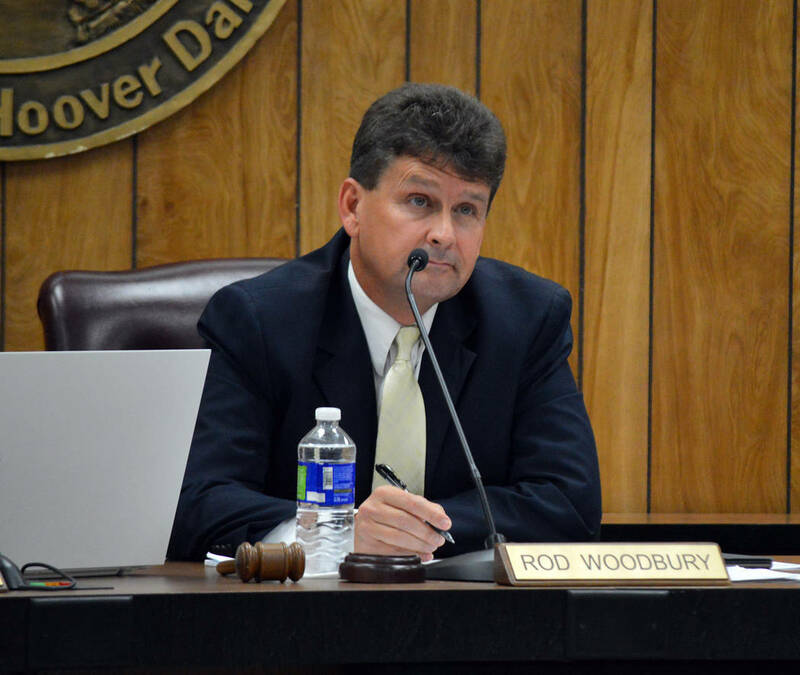 “I’m not willing to continue to play Russian Roulette with this,” Woodbury said. In other actions, council approved a 10-year contract extension for Waste Logistics Nevada to provide trash and recycling service for the city in a 4-1 vote. McManus voted against it because he said the contract should have been put out to bid since it was for $1.4 million.